This line is specially used for common steel plate leveling & cutting. Adopting multi rollers to make the steel transform between the up & down rollers,reliefing stress,which makes the leveling into reality. Application Scope:0.5--1mm thickness,≤1300mm width Steel. 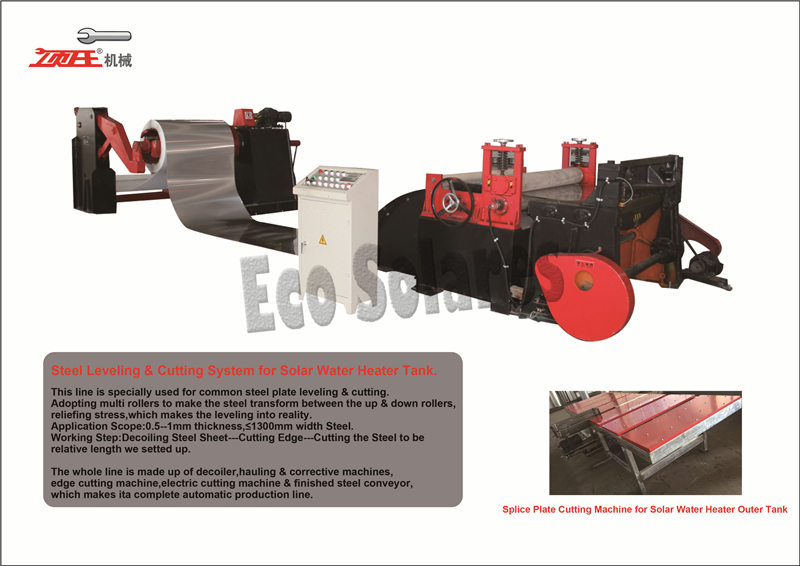 Working Step:Decoiling Steel Sheet---Cutting Edge---Cutting the Steel to be relative length we setted up. a complete automatic production line.